You won't believe your eyes!! Come to Charles St. in Germantown and believe. This once dreary home has been completely renovated but has retained it's beautiful hardwood floors and woodwork maintaining it's early 20th century charm. The original door greets you to the family room with tall ceilings that are much sought after in the area. You will discover beautifully renovated original hardwood flooring in most of the home. The master bedroom and bath feature his and her closets, a large shower featuring subway and Chilo tile. The beautiful kitchen boasts new white Mission maple cabinetry, a complete suite of Samsung stainless steel appliances and stunning Viscount granite counter tops. (Listing agent related to seller.) New windows, plumbing including new water heater and furnace, electrical and plumbing complete this renovation. A huge attic with hardwood floors offers endless possibilities. A cellar access door in the hallway for inclement weather is a welcome feature. The beautiful original front window has been renewed and it's curb appeal can't be overstated. This house also features a 1st floor laundry in the mudroom. Directions:Goss street to Spratt street left onto Charles. SchoolsClick map icons below to view information for schools near 1013 Charles St Louisville, KY 40204. House for Sale at 1013 Charles St Louisville, KY 40204. Description: The property located at 1013 Charles St Louisville, KY 40204 with the MLS# 1521585 is currently listed for $193,000 and has been on the Louisville market for 113 days. 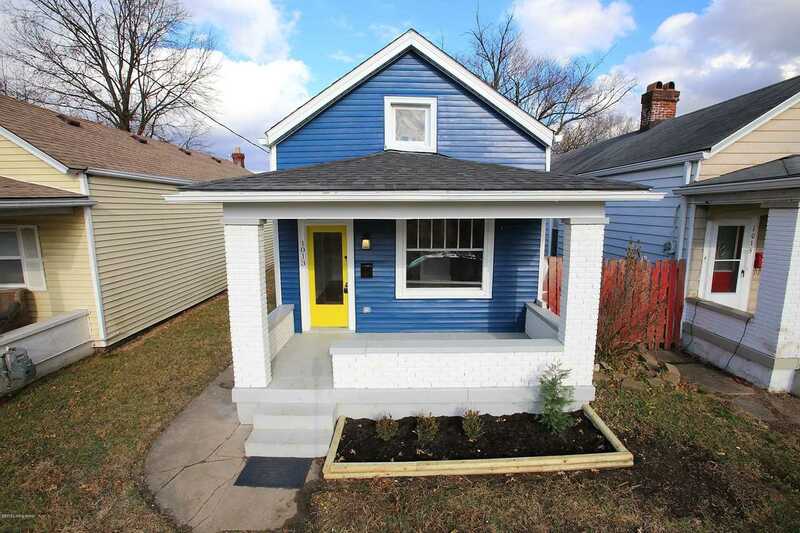 You are viewing the details of the home for sale at 1013 Charles St Louisville, KY 40204, located in the Germantown neighborhood which includes 2 bedrooms, 2 bathrooms, and has approximately 1021 sq.ft. of living area.